To blog or not to blog that is the question. When I set up Just Add Attitude I didn’t have an iota of a notion whether I would simply write four or five posts and then stop, or if I would continue jogging along the blog route ad infinitum. My motivation for starting the blog was multilayered and verily some of the reasons why I did are now lost in the misty cobweb-y recesses of my memory. In the here and now I post on JAA because: I like the writing process; I like that I have a record of where I go and what I do; and I like especially that you read it and thank you so much for doing so. Occasionally I have fleetingly thoughts that I might stop, they usually float into my mind when I am totally stumped for something to write about or am feeling out of tune with the world, but I quickly dismiss them as the blog has become part of my life and I now cannot imagine not writing it, even though I don’t update it that frequently. 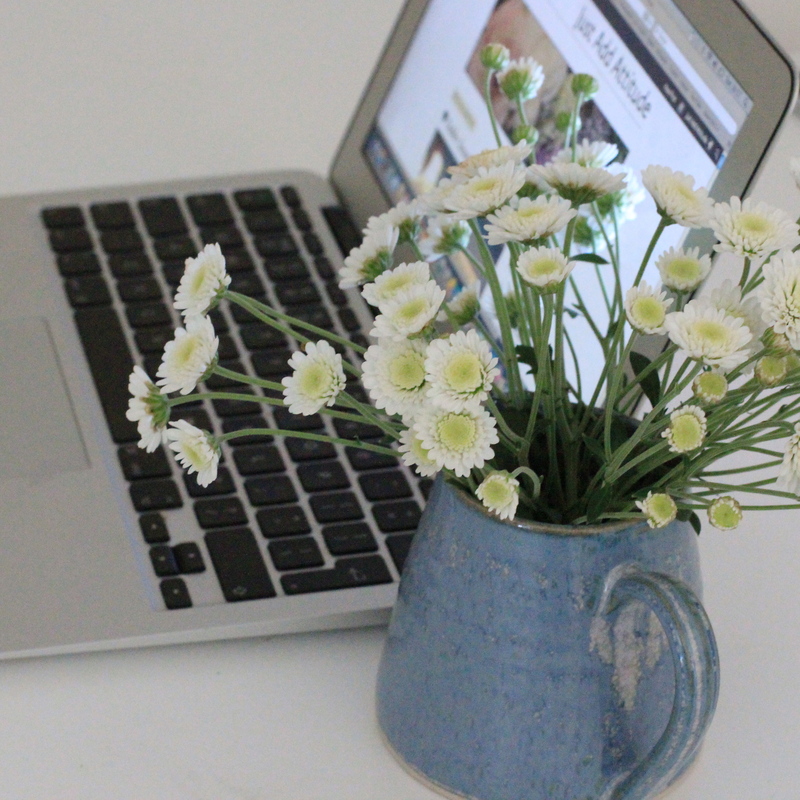 One of the things I struggle with is the question: how should I blog. I write about stuff I like and things that appeal to me and obviously I hope they will be of interest to you too. And I want the blog to be honest and true to who I am without it being hugely revelatory about my life. A couple of people who I know, albeit not very well, and like said, à propos of what they had read on the blog, that I lead a glamorous life. Er, me, no, absolutely not. A squillion times no. My life is anything but glamorous, in fact it’s extremely humdrum and I am quite content to have it so. The most interesting thing I have done in the last four days or so was to bring my car to the car wash. Weirdly I enjoyed it because it’s one of those car washes where you clean the car yourself with a powerful jet stream of water, which dissolves the dirt, and it was super satisfying to see my car transform from grime-laden to squeak-y clean. Still and all, it would be difficult to make a glamorous blog post out of the details! Writing a blog opens all kinds of possibilities, we get to meet lots of interesting people who share things with us. Keep on blogging! I so agree, you do get to meet interesting people and also there is a huge amount I have learnt via the blog, And yes I will keep on blogging. You too. Thanks for your comment. I really do enjoy your blog, glad you will continue. It’s like a peek into your life, maybe it’s something wonderful you ate or found in shop. I find it interesting. Keep it up! New word for me, chuffed. I am loving the fact that the most interesting thing you have done lately is take the car to the car wash. Life is so like that most of the time. You would have enjoyed my day recently which revolved around solving a flat battery problem! I always enjoy reading about your shopping experiences! Thank you for the link, I had a quick read of the article and I will go back and study it in more detail so I take it all in. Good luck on your own blogging journey. Dear B, your blog is beautiful and elegant and so are your posts, your gracious and engaging prose, and your charming, well composed photography. Don’t you even consider stopping for a moment! Cheers to you and JAA: I look forward to many more posts on your adventures, big or small, and on beautiful Ireland. I think you should blog the way you feel like blogging without any predetermined agenda. Blogs are simply reflection of our personality. If sometimes you don’t feel like putting yourself out there, it is totally fine. Personally, I realized that I cannot have a blogging schedule and I never know what my next post will be about. I must be feeling creative or willing to talk about something that I really liked and it doesn’t happen every day … or every week. I think you are doing great, B.! Thanks Francesca, that’s helpful as it is always good to get an insight into another’s blogging mindset. You are right, of course, and I think I need to be more relaxed about when I blog rather that worrying that I might not put up a post for over a week. I think your blog is a beautiful place, and I love reading your travel tips and posts as much as I like the elegant musings about your town and house and garden. Your storytelling exudes a very peaceful aura, like a very well-written diary, almost a memoir, due to its great style. I think all of your readers agree…we love your blog because it is “so you”. Keep up the good work, we enjoy it.